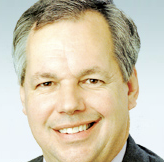 Tony Baldry is the Conservative MP for North Oxfordshire. He is also James Ibori's QC (lawyer) in the UK. I wonder what his constituents would think if they knew of one of his other revenue streams? "We can't turn up our noses at money looted from the African people, old boy. Think of the effect on the City." Yes, THE CITY and probably the whole nation was built from money looted from Africa AND by people stolen from Africa. And yet no one seems to have made the connection; illegal immigration and the looted funds are closely linked - loot the nation and its youth follow the money to the UK!